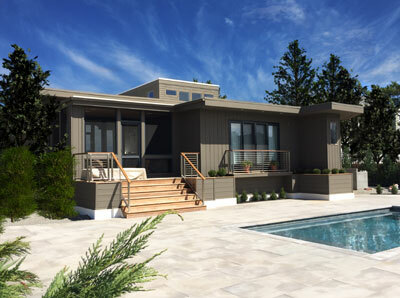 I want to send a BIG shout out to Bobby Schinder of American Custom Fabricators Inc of Bayville for the amazing railings his company made for my LBI house. I just couldn't be happier with how they turned out!! I met Bobby through Mike Spatz, he worked hand in hand with my electricians John Camburn and Doug Camburn, thanks to all for help making my dream come true!! 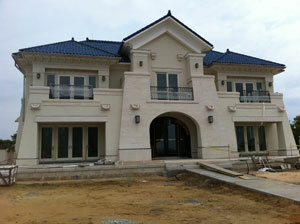 I would recommend all of these guys to my friends, great contractors AND great guys!! Custom stainless steel cable rail with Epie wood cap. 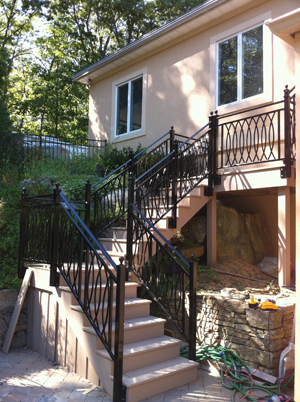 Architect designed custom aluminum fence and railings. Powder Coated. 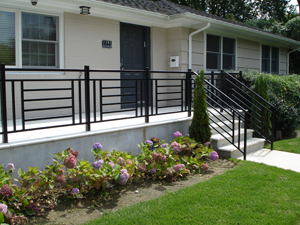 Home-owner designed custom powder-coated aluminum railings. 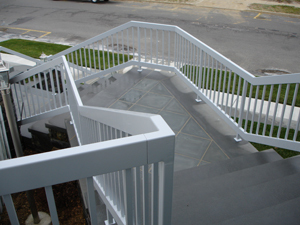 Custom powder-coated aluminum stair railings with handmade infill design panels. 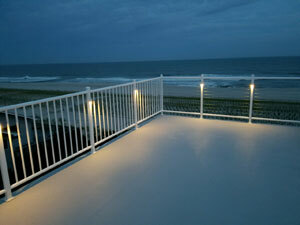 Custom railings made to match interior wood railings with "Kynar" finish for ocean-front conditions. 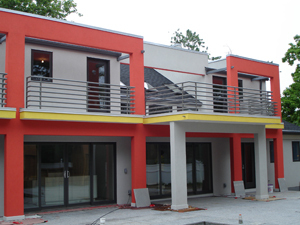 Architect design custom powder-coated aluminum railings. 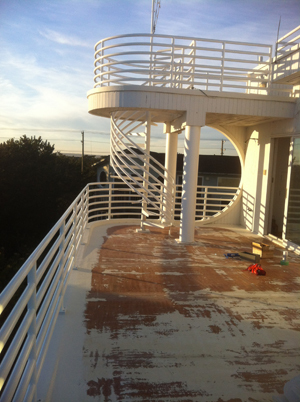 Powder-coated aluminum railings made to replace existing vinyl railings on ocean-front home. 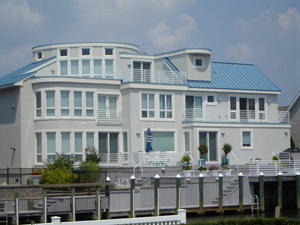 Powder-coated horizontal style aluminum railings on bayfront home.